I was putting the Scallywags to bed last night, still trying to make sense of the Swans Grand Final demise, when I glanced at an old cricketing trophy of mine, sitting on the bookshelf. Jack had souvenired it from a recent trip to the Grandparents. Bugger me. It has been 15 years since I defied a poor technique, a lack of fitness and an uncanny ability to hit lofted drives straight to mid-on, to live out a boyhood dream and reach three-figures. Time has flown. I sit and try and recall the feelings. The memories. I was 23 at the time and back at home in Wagga while I was in-between jobs (yes, unemployed). Cricket season was my salvation. My outlet. I had always coveted a year in first-grade with my Brother, who was one of the top players in Wagga at the time. After three years at University in Canberra and a year of grade cricket in Sydney I returned to the local scene. As a teenager I left Wagga as a fast medium bowler (okay medium fast) who could bat a little (that is what most number 9s think of themselves) for the firsts, however, while at University I decided to transform myself into an opening batsman and off-spinner. You have a lot of time to think when you are a ‘full-time’ student with only 12 hours of lectures and spend sunny Wednesday afternoons propping up the Uni Bar trying to get uninterested young lasses to talk to you. The selectors at the Lake Albert Cricket Club were sceptical of my transformation. People looked at me like I was a poor man’s Colin Miller. I’m picked in the seconds to start the year. It feels like I am 15 again. Despite constant pleas from my skipper to go back to the long run, I convince him to let me open the batting. Not a tough task when most blokes in the seconds tend to hide in the dunnies when the Skipper is looking for volunteers to face the new pill. I start the season with a thirty and throw away a promising knock. 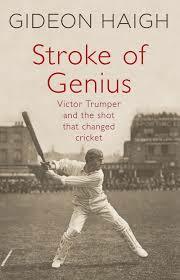 The next week I make a David Gower esque half century, full of eloquence and sublime timing. I took twenty runs of one over, which was delivered by a 15 year-old medium pacer, weighing 43kg, who seemed to think delivering five well placed half volleys on leg stump was a cunning strategy. The first grade selectors still didn’t come knocking. I started to feel like Mark Waugh circa 1990. Bugger you blokes. I set myself for a big one in the next game. The St Michael’s Cricket Club would pay the price for my frustration. They bat first and knock up 230. I arrive at Forrest Hill Oval the following weekend and am greeted by a typically hot December Wagga Day. Forrest Hill Oval is a few cover drives from the airport. It has short boundaries straight and it is one of the best decks in Wagga. No change-rooms, so at approximately 1.20pm on any given Saturday you will see 22 blokes dropping their pants to get changed into their whites, in full view of passing traffic. For a Catholic Club the St Micks boys certainly don’t mind going the sledge. I’ve got a headache by the time I’ve asked the umpire for middle peg. Opening the bowling is ‘big bad’ Frankie Coates. He is a St Micks stalwart who has played plenty of first grade cricket, yet has started sliding down the grades with age. With all due respect to Frankie, after two pills, I conclude that it would take a miracle for him to get one up around my chin. At the other end is a young kid who bowls a handy line, yet is gun barrel straight. I call for the Baggy Cap after two overs. Cue further sledging. I make it to twenty without too much drama, then decide to confuse ambition with ability and attempt a Steve Waugh esque back foot cover-drive. I pop a dolly to gully, thankfully the young bloke is probably still thinking about his pending year 10 formal and spills a sitter. Time to switch back on. I am not in great nick, however, for one of the rare times in my career I knuckle down fully to the task. I sense the opportunity for a big one today. Causing me the most grief is a willy bearded off-spinner, who is probably 30kg over the playing weight he had when he apparently played a few games for Tassie in the 80s (for the life of me I can’t recall his name). He prods and probes, constantly inviting me to lose my head and play a mug shot. Not today my friend. I mark 50. In the past this has usually been a signal to start swinging, as I am satisfied with my efforts. A slight raise of the bat to teammates is all I offer. It appears today that my mind and body has been overtaken by Allan Border. I am living a cricketing out of body experience. 70 at tea. Time to think. Time to dream. I go for a nervous piss. My old man comes over for a chat. He has genuine excitement in his eyes. “Keep your head down and keep playing straight”, says Mr D. The same advice I have been given since I was a six-year-old. Wise advice. It doesn’t help when several teammates inform me that I’m a good chance for a Ton today. I reach for the reserve gloves, gulp a final glass of luke-warm lemon Cottees Cordial and head back out for the final stanza. Jubilation or devastation awaits. I turn mid pitch like the Spirt of Tasmania and dive for the crease as if my life depends on it. A poor throw and unsteady hands from the bowler saves me. I stroll up to my partner and politely, yet firmly, advise him to never f—ing do that again if he knows what’s good for him. I will not accept being run out today. I count the runs during the innings and know I’m now in the 90s. The nerves kick in. I can’t take the nerves. Suddenly I’ve gone from Allan Border to Michael Slater. The sense of occasion hits me. I’ve never been in this spot before and may never get back here. I need to make this count. I decide on a death or glory approach. When you have batted for 50 overs and have your eye in, it would make sense to just knock it round and do it in a canter in singles. My mind is not clear. Big Frankie is back at the crease to deliver probably his 20th over. His medium pace is now well and truly in the military medium category. Hard yards bowling 20 overs in 35 degrees as you approach 40 years of age. I decide if it is full it has to go. Half volley on middle peg. I swing the Gunn & Moore with all my might and deposit the pill onto the road. The strategy is working. Just one more lofty blow and the glory will be mine. My partner tells me to calm down. I tell him to let me do my thing and for F-ck sake back up and don’t run me out. Big Frankie serves up a decent pill on a good length outside off peg. I am going for it. F-ck it wasn’t quite there to drive on the up. A mis-hit! My fate is now with the Gods and a pimply faced teenager at mid-off. Time stands still as I see the ball float in the air at knee height. Mid-off makes a half-hearted attempt to catch, however, the ball lands half an inch short of his clutches and runs pass his fingernails for a boundary. Half an inch saves me from a lifetime of cricketing torment. I raise the bat in pure relief to my teammates and the nearby Commodore Station Wagon my parents are sitting in. The relief. I can now die a happy man. I nudge one to fine leg a few balls later (just in case the scorers have made a mistake) and am out soon after for 102, skying a ball to cover. It’s hard to see the ball when you have tears in your eyes! I receive a few handshakes from the St Micks Boys, which is much appreciated. Exhausted (mentally and physically) I collapse amongst a throng of back patters. I have done something significant in terms of my sporting life today. The boys in the middle finish off the remaining runs and we get the win, which is icing on the cake. 12 cans and 10 hours later I am full of confidence. A shy country boy is cutting up the dance floor. I engage in a chat with a young lass with intent in her eyes. This is foreign to me. She suggests we head back to her place. I say only if I can bring my Gunn & Moore as it is not sleeping alone tonight. I went home alone to the bunkbeds at my parents place that night. The first grade selectors came knocking for the next week and I got to play out the year with my brother in the firsts. A few decent knocks followed, yet nothing significant. My suspicions were confirmed that I was in fact a better bowler than batsman. The club presented me with the trophy and the scorecard later that year. I kept the scorecard at my place, however, it took me 10 years to count the runs. Imaging if a scorers mistake had me scoring 99! The trophy has sat dormant in my Parents cupboard for 15 years until Jack recently liberated it. I’m glad the trophy now sits on the little man’s bookcase and I eagerly await the day, he too will hopefully climb his own cricketing Everest. In the meantime, please excuse me the occasional liberty to glance at the trophy and remember the time when I made it to three figures. i never made it past 60, also being a tonking #9 for much of my career. only learnt to watch the ball when my eyes started to fade. it actually helps you bat! however I never bowled in a game in which an opposition batsman scored a ton. I’m pretty proiud of that. A good read. The best I ever did was 53 for the famous Tasmania University Thirds. Perhaps the spinner in question was Mark Ray (also played for Tas Uni), had a beard in his playing days for Tasmania? Played a great captain’s knock when I was 44. Declared when I was 80 n.o. in an endeavour to win outright. Had to put up with 2 hat-tricks instead so that I could balance my Almanac Year Books. JTH – surely there is a Cricket Town in the great tradition of Footy Town lying dormant in the minds, memories and exaggerations of the Almanackers. Chapter 1 sitting right here, well done Craig. A great yarn, Craig D. Thanks!! Choosing the Gunn & Moore over the young lass with intent in her eyes!! Wow. Great tale Craig, much thanx. Took me quite some time to bring up my first ton, having had a habit for getting out in the 80’s. Will never forget the chill that went up my spine when running down the wicket the complete the milestone. Coincidentally, I also made 102 that day, though in red ink. Love the line about your Gunn & Moore, until recently my blade of choice, though not sure I’d have made the same sleeping choice given the same circumstances!